Winner Announced for the $25 LTD Commodities Gift Voucher! Thank you everyone who participated! Learn more about all of the awesome items for sale at LTD Commodities. I look forward to sharing more Giveaways Soon! Disclaimer: The garden items mentioned in the following blog post were purchased from our sponsor, LTD Commodities. All information mentioned in the post below is 100% from my own opinion. Let me share with you what I have discovered among the many garden products that I will be using to get my patio garden ready to grow this year. It's all in my YouTube Unboxing video below! The Frog and Owl Statues are very attractive to look at next to some planters filled with green plants and flowers. There is also sparkly gem-like pieces accentuating each ceramic statue. 50-Pack Easy-to-Grow Anemone de Caen and Ranunculus Bulbs will grow from seeds to beautiful flowers that will bloom year after year. These will grow tall from 6" - 24". They will grow perfectly with low-growing borders and containers or planters. 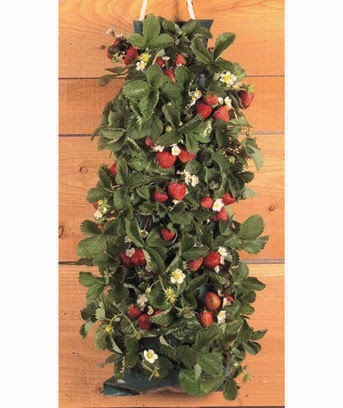 Cook's Vertical Gardens are a great way to get fresh strawberries! Each garden kit includes 2 hanging bags measuring 21 1/2 inches x 8 1/2 inches, seed packets, and planting instructions. Set of 4 Galvanized Metal Containers have a really nice rustic look. They have a narrow, oval, design, perfect for a backyard or patio. I look forward to planting some of my seeds in them and displaying them nicely throughout this spring and summer. Enter using the Rafflecopter entry form for all entries to count. All tasks on entry form are optional but the more you do, the more chances you will have to win! Good Luck! Selena Thinking Out Loud With Purpose had the opportunity to join a new BzzAgent campaign to experience one free half gallon of SILK Cashew Milk! I love my Silk Soy Milk, but now I tried their cashew milk. I enjoy cashews as a nice snack during the day, but as milk, well, I don't know. So, in this YouTube video below, I share my personal review of this product. I like that this SILK Cashew Milk is not too sweet, even though it is their original with 7 grams of sugar. I like that the Cashew milk is suttle-to-taste and it is indeed creamy. I would definitely buy this milk again because it is just as nice as Silk Soy milk, which I do buy regularly. I can enjoy this milk easily by glass or with my favorite cereal. I am always open to trying new products and this one was one that I enjoyed trying for free as a BzzAgent. It is also nicely priced in my local Ralphs supermarket at about $3.99, so that's reasonably priced to me. I even used it one morning to prepare pancakes and they came out fluffy with a nice sweetness to them. I recommend that you give it a try as well and tell me what you think! Are you a SILK Milk fan? If so, have you tried this new Cashew milk? Is it best in a cold glass, in a healthy smoothie, or with your favorite cereal? Share with me your preferences in a comment below! BzzAgent Unboxing and #Review of @Kroger Co. Family of Brands! Selena Thinking Out Loud With Purpose had the opportunity to try some new products in the Kroger company family of brands. In the following video, I share a new BzzAgent unboxing and then a review of what I experienced with some of the products below. During my grocery shopping trips, I look for offerings from at least 7 of these brands at my local Ralphs, a sister store of Kroger. Eating healthy can be simple and convenient. Also satisfying that occasional sweet tooth is just as good too with these brands. Check them out! The Psst! brand is indeed one of my favorites in the Kroger family brand of products. First off, this brand's prices are affordable for any size family. I had the opportunity to try some of their brownie mix. It was a simple, quick, dessert to make. The brownies were chewy and perfect with a scoop of ice cream. The packaging is very clean and attractive. I was shopping in my local Ralphs, a sister store of Krogers, and I noticed they had paper towels and toilet paper too, in large packs, so I purchased one of each. Now I'm seeing Psst! brand items everywhere I turn. The only reason why I gave them 4 stars is because the toilet paper is a bit rough. However, I have continued to purchase the brownie mix and I'm open to trying other products they offer in the future. While the coupons last, use the Contact Form HERE, to request some coupons. The expiration date is 5/7/15 for all of them. I will reply back to you and let you know if there are still some available. 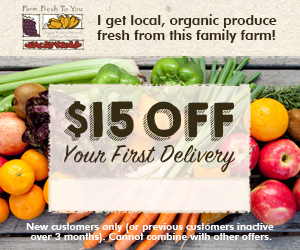 Please provide the best mailing address to receive your coupons. By the way, a P.O Box address is okay with this. Do You Have Some Kroger Family Brand Favorites? If so, share them in a comment below.